Great to be invited to present remotely for New Zealand’s big ULearn Conference. Paint, pixels and possibilities – so cool to see the kids excitement over the lens on the ipad being used. Play being used is another word for experimenting. 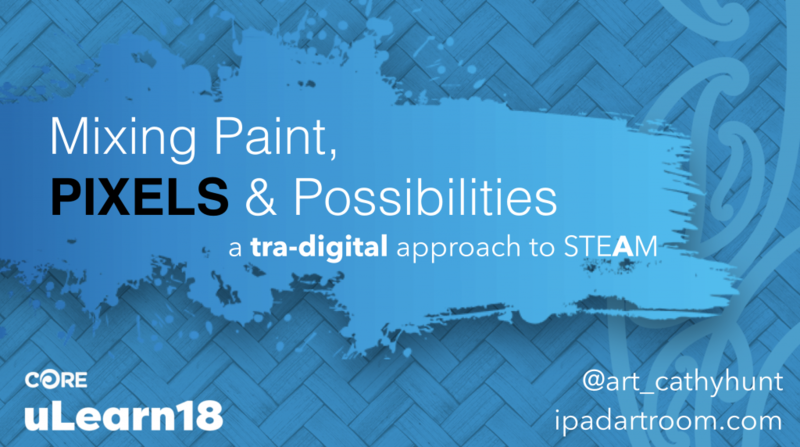 Paint, pixels and possibilities – how to teach artfully! We live in a mixed media world.